Misting units are the norm in many of the hottest areas of the country — Arizona, for example has misting units in most of its outdoor shopping, restaurant and seating areas. These misting units offer an extremely fine mist and that is refreshing for the shoppers who are dealing with the triple digit temperatures while they are shopping and enjoying a day out of doors. A misting unit can be added poolside as a refreshing way to lounge about in the outdoor poolside area and and be cool even on a hot day. Misting units or misting fans enhance the enjoyment of the time spent poolside. The pool service contractors from ACC Pool Care understand if you’re thinking about adding misting units or a misting fan system, they give you a big thumbs up! If you’re like most pool owners, you spend more time lounging poolside than you do in the water and misting fans will make that more enjoyable. 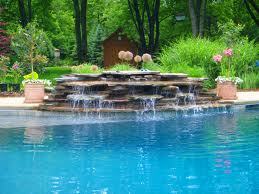 Adding a misting fan can lower the temperature of the poolside area by as much as 20 degrees! In the heat of a California summer day, that is substantial. A system that has the misting fan attached and that has wheels to make it easier to move. This is a mobile unit that you can move to different areas of the outdoor living space. Check the chamber capacity so you now how long the unit will cool. The larger the water reservoir, the longer you will be able to cool and mist. Look for various options such as telescoping features and variable speed and variable height units. There are also oscillating units. Talk with us if you want to think about adding a misting unit to your outdoor living space before the 2019 summer swim season rolls around.